The city of Los Angeles hosted the 32nd L.A. Marathon on Sunday, March 18. The 26.2 mile “Stadium to Sea” course begins at Dodger Stadium and ends at the Santa Monica Pier, challenging participants to finish under the six and a half-hour time limit. Over 24,000 athletes from all 50 states and more than 63 countries attended the L.A. Marathon. 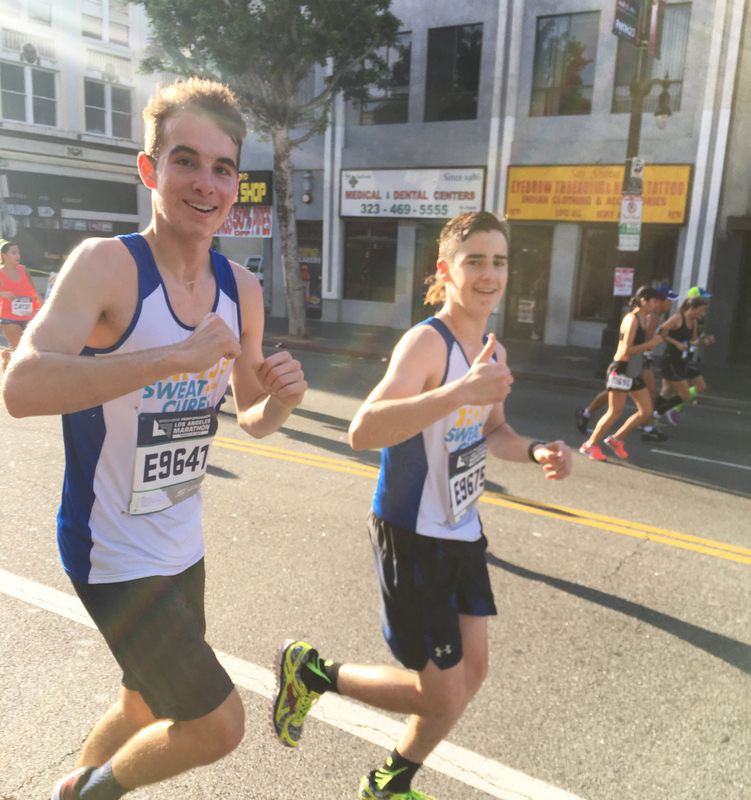 Senior James Crisafulli and junior Jake Guinane participated in the marathon. Guinane’s aunt and Crisafulli’s mother were both diagnosed with breast cancer, which ultimately drove both of them to run the marathon. “My primary motivations were my charity and just the daunting task of the marathon itself,” Crisafulli said. The pair trained together for about two months, running two to three times per week. They ran from four miles to 20 miles in preparation for the race. As race day approached, both Crisafulli and Guinane were overcome with emotions.